The science of homeopathy is based on law of similar. The traditional classical approach of homeopathy treatment will not be sufficient in the treatment of cancer cases. In the treatment of cancer, however, the doctor often cannot afford to “wait and watch”; the adverse effects of primary and secondary lesions require a more aggressive procedure. Adapting to the urgency and severity of the condition and the necessity of quickly bringing about tangible or visible changes in the pathology, Dr.Rangadhar Satapathy has developed a more advance and unique method Homeopathy treatment package that helps in cancer patients profusely. In our Multicare homeopathy online treatment center peoples suffering from cancer have been benefitted using our advanced homeopathic treatment packages. 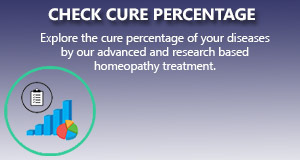 We apply the most scientific and research based homeopathy treatment package for this condition that gives a long standing cure to this incurable disease. But every science has its limitation. if there is extensive pathological extension and multiple organ failure then the chance of cure is very less. But in the 1st and 2nd stage of cancer can be controlled by our research based advanced homeopathy treatment methods. Multicare Homeopathy Center has a good reputation in treating different types of cancer. This all will not work for a cure from cancer. Only an integrative treatment of Homeopathy + a Conventional drug (both of which activate our immunity system) will be able to rid the body from cancer. I have tried this and got success. Let me tell that only Homeopathic will not cure cancer and neither only that conventional drug (name will be disclosed if required) will be able to fight cancer. That is why even after so much research in Homeopathy or Allopathy is not leading to get the breakthrough.